Avantor Performance Materials recently announced it has expanded its portfolio by offering cGMP-manufactured Methylene Chloride and Acetone produced at its manufacturing facility in Phillipsburg, NJ. The company’s Macron brand NF-grade Methylene Chloride provides exceptional quality for pharmaceutical and cosmetic applications and is now available in 200-L containers, giving customers more options for ordering smaller quantities. Avantor is the only chemical manufacturer offering methylene chloride in drum-size packages. In addition, Avantor’s J.T.Baker brand of Multicompendial-, NF-, and FCC-grade Acetone are packaged in various container sizes. Acetone is used in a variety of pharmaceutical applications as a process intermediate. It is also widely used in medical, cosmetic, and food applications. Both chemicals are also available in larger quantities, up to bulk tanker deliveries. Avantor plans to expand its cGMP solvent manufacturing capability in the near future to meet ongoing customer needs for cGMP-manufactured chemicals in more convenient, custom package sizes. The company plans to make the J.T.Baker brand of FCC-grade Hexane available by the end of 2011. All Avantor cGMP solvents are available in the company’s 100% reusable CYCLE-TAINER solvent delivery system containers. Customers can request samples of these and other products from Avantor Performance Materials by visiting www.avantormaterials.com or contacting 1-855-AVANTOR (1-855-282-6867). Rexam Healthcare recently announced it has received 510(k) approval from the Food and Drug Administration (FDA) for Safe’n’Sound, its passive safety device for staked prefilled syringes. The approval is the crowning achievement of significant investment and efforts in terms of design by the Rexam teams. The aim of the project was to design a safety device that meets the current regulations in North America and in Europe. These regulations are aimed at protecting workers in the health sector from needle injuries and contamination from bloodborne pathogens. The fully passive Safe’n’Sound device provides effective protection against the risks of being pricked by a soiled needle, due to the protective sheath that activates automatically once the medicine has been administered. This 510(k) approval shows Rexam’s commitment to innovation, safety, and quality and allows the product to be marketed in the United States. Rexam is a leading global consumer packaging company. It is one of the leading global beverage can makers and a major global player in rigid plastic packaging. Rexam is business partners to some of the world’s most famous and successful consumer brands. Its vision is to be the best global consumer packaging company. 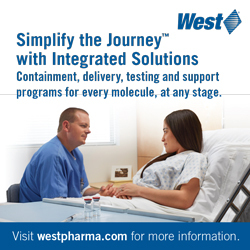 Rexam Healthcare provides solutions to protect and deliver pharmaceuticals. Building on its core expertise in plastic injection, injection blow-moulding, and high-speed automated assembly, it designs, develops, and manufactures innovative packaging, including containers and closures, drug delivery devices, metering pumps and valvess and medical components to improve patients’ health. Completely focused on healthcare, the company relies on its regulatory knowledge to support its customers and manufacture in strict compliance with GMPs to meet the highest standards of quality, safety, and consistency. Unilife Corporation recently announced the development and patenting of the Unifill EZMix multiple-chamber ready-to-fill (prefilled) syringes. Unifill EZMix syringes have been developed in direct response to the unmet needs of pharmaceutical companies seeking an innovative and convenient delivery system for the reconstitution and administration of lyophilized drugs and vaccines. Unifill EZmix syringes feature two or more primary drug containers within a single glass barrel to store a combination of liquid stable or lyophilized drugs along with up to 1 mL of diluent for reconstitution. In addition to being the world’s first and only dual or multi-chamber prefilled syringes with automatic (passive) safety features fully integrated within the glass barrel, the Unifill EZMix syringe offers minimal steps of use for healthcare workers and patients alike. The end-user simply advances the plunger to mix the lyophilized powder with the diluent, before swirling the device to complete reconstitution. An audible, tactile click signals the injection of the full dose and the activation of a passive safety system that allows operators to control the speed of needle retraction directly from the body into the barrel. The Unifill EZMix syringe will be available with either a fixed (staked) needle for drugs indicated for subcutaneous injections, or with attachable needles of up to 1.5 inches in length. Unilife Corporation is a US-based developer, manufacturer, and supplier of advanced drug delivery systems with state-of-the-art facilities in Pennsylvania. Established in 2002, Unilife works with pharmaceutical and biotechnology companies seeking innovative devices for use with their parenteral drugs and vaccines. Unilife has developed a broad, differentiated proprietary portfolio of its own injectable drug delivery products, including the Unifill and Unitract product lines of safety syringes with automatic, operator-controlled needle retraction. Unifill represents the world’s first prefilled syringe technology integrating safety within the primary drug container. The products are ideally positioned to help pharmaceutical companies maximize the lifecycle of their injectable drugs and enhance patient care. Tekmira Pharmaceuticals Corporation recently announced it has obtained an exclusive, worldwide license to a novel and proprietary RNAi technology called MV-RNA (multivalent RNA) from Halo-Bio RNAi Therapeutics, Inc. The exclusive license and collaboration agreement provides for the companies to work together to design and develop MV-RNA molecules to gene targets of interest to Tekmira and to combine MV-RNA molecules with Tekmira’s lipid nanoparticle (LNP) technology to develop therapeutic products. “MV-RNA technology has tremendous potential to lead the future development of RNAi therapeutic products. The power of MV-RNA technology is its capacity to silence multiple molecular targets with a single molecule and treat disease by targeting multiple cellular pathways simultaneously, which clearly differentiates the technology from all other RNAi technologies currently available. Our exclusive license to Halo-Bio’s MV-RNA technology expands and diversifies our technology base to support the development of novel products and gives us the opportunity for broader discussions with the pharmaceutical industry,” said Dr. Mark J. Murray, Tekmira’s President and CEO. Halo-Bio’s MV-RNA technology comprises single macromolecules capable of mediating RNAi at multiple unique target sites. MV-RNA can target three sites on a single gene or up to three separate genes simultaneously. Tekmira has successfully demonstrated multi-gene knockdown using MV-RNA enabled by proprietary LNP formulations. “This transaction places Tekmira in the unique position of having the leading RNAi delivery technology and access to multiple RNA payload technologies to develop RNAi therapeutic drugs. We believe we can accelerate the development of the MV-RNA technology by leveraging our know-how and expertise in LNP delivery as well as our broad understanding of therapeutic RNA payload design,” added Dr. Murray. Under the license agreement, Tekmira has received exclusive worldwide rights to Halo-Bio’s MV-RNA technology for the development of therapeutic products. Tekmira and Halo-Bio will continue an ongoing research collaboration to design and optimize MV-RNA molecules against gene targets of interest. Financial terms of the license agreement were not disclosed. The MV-RNA approach to RNAi offers significant advantages over other technologies. Conventional approaches to RNAi utilize double-stranded compounds, known as siRNA, consisting of a guide strand and a so-called passenger strand. Ideally, the guide strand is preferentially incorporated in the RNA induced silencing complex (RISC), where it helps catalyze the site-specific cleavage and subsequent degradation of the targeted messenger RNA. The passenger strand is degraded by cellular nucleases. The MV-RNA technology improves on these aspects of the conventional approach as each strand of an MV-RNA molecule is designed for efficient RISC incorporation and targeted cleavage of a unique mRNA target sequence. Therefore, MV-RNA technology has the potential to increase the potency and minimize off target effects of RNAi drugs. RNAi therapeutics have the potential to treat a broad number of human diseases by “silencing” disease-causing genes. The discoverers of RNAi, a gene-silencing mechanism used by all cells, were awarded the 2006 Nobel Prize for Physiology or Medicine. RNAi therapeutics require delivery technology to be effective systemically. LNP technology is one of the most widely used delivery approaches for systemic administration of RNAi therapeutics. Tekmira’s LNP technology (formerly referred to as stable nucleic acid-lipid particles or SNALP) encapsulates RNA molecules with high efficiency in uniform lipid nanoparticles, which are effective in delivering RNAi therapeutics to disease sites in numerous preclinical models. Tekmira’s LNP formulations are manufactured by a proprietary method, which is robust, scalable, and highly reproducible, and LNP-based products have been reviewed by multiple FDA divisions for use in clinical trials. LNP formulations comprise several lipid components that can be adjusted to suit the specific application. The Munich biotech company apceth recently announced it started its first Phase I/II clinical study on somatic cell therapy for advanced peripheral arterial occlusive disease (pAOD) after angioplasty. The aim is to investigate the tolerability and efficacy of somatic cell therapeutics developed by apceth for the treatment of pAOD. The study is designed as an open, randomized, monocentre study with two parallel patient groups and is being conducted in cooperation with the Isar-Medizinzentrum in Munich. The first patients have already been treated. A total of 30 patients are to be recruited into the study by March 2012. The initial results of the study are expected by mid 2012. Around 4.5 million people in Germany suffer from pAOD, and the most common cause of pAOD is arteriosclerosis. Because the illness is often not diagnosed in time, if at all, the consequences for those affected can be fatal: 75% of pAOD patients die of heart attack and stroke. Peripheral arterial occlusive disease is one of the most common chronic diseases and is still increasing, particularly in the industrialized countries. Those affected suffer from progressive narrowing or even complete occlusion of major and minor blood vessels that supply the limbs with blood. The treatment options for pAOD include bypass surgery, angioplasty and, in severe cases, amputation of the foot and leg. As part of the clinical study on pAOD, a small amount of bone marrow is first taken from the patients. The mesenchymal stem cells are isolated from the bone marrow sample and propagated as cell cultures under controlled conditions. The apceth team then prepares a purified and accurately defined fraction of the patient’s own (autologous) stem cells for therapeutic use. These purified stem cells are available just a few weeks after taking the bone marrow sample and are then returned to the patient by intravenous infusion. “In this study, we are documenting the results with regard to the regeneration of tissue and the blood supply. This enables us to draw conclusions about the efficacy and tolerability of stem cell therapy in pAOD,” explained Dr. Günther. Adult mesenchymal stem cells possess a broad spectrum of biological properties that are based on the natural healing powers of the organism. For instance, stem cells are capable of regenerating tissue and promoting wound healing. Another characteristic of these adult mesenchymal stem cells is that they do not trigger a reaction by the immune system, but instead regulate this system so as to dampen inflammatory processes. For this reason adult stem cells are suitable for autologous (body’s own tissue) use, but also for allogeneic applications (the stem cell donor and the recipient of the cells are different individuals). In both cases there are no rejection phenomena such as those known in standard transplantation medicine. Bend Research Inc. and Xcelience LLC recently announced they have formed a collaboration to provide oral solid-solubilization formulation solutions and expedited clinical supply manufacture in combined programs to advance clients’ best new medicines. The collaboration will deliver superior value to clients with challenging drug-development candidates by combining Bend‘s problem-solving and formulation/processing expertise for delivering poorly soluble compounds with Xcelience’s solid reputation for accelerating early phase development activities. The collaboration will maximize stage-specific expertise and expand operational capacity in a manner that provides immediate streamlined solutions to clients with tight timelines for producing clinical supplies. “In this collaboration, we are combining Xcelience’s strengths in drug-product development and clinical supply manufacturing with our company’s expertise in science- and engineering-based formulations for low-solubility compounds and our own drug-product intermediate clinical supply manufacture. This will enable us to provide our high-quality, innovative solutions for clients in shorter timeframes, which can be critical in the development of new medicines,” added Rod Ray, CEO of Bend Research Inc.
For more than 35 years, Bend Research has worked with clients to create value by advancing new medicines that improve human health and to solve their most difficult scientific and technical problems. This success is based on the company’s ability to develop, advance, and commercialize pharmaceutical technologies. The firm’s innovative drug delivery solutions grow from a solid base of scientific and engineering fundamental understanding. Bend Research provides formulation and dosage-form support, assists in process development and optimization, manufactures clinical-trial quantities of drug candidates in its cGMP facilities, and advances promising drug candidates from conception through commercialization. Xcelience is a premier provider of formulation development and manufacturing solutions with a solid reputation for accelerating early phase development. The company’s outstanding quality record, drug-development expertise, disciplined project management, and willingness to customize enables delivery of real advantages to pharmaceutical innovators focused on small-molecule development. Partnering with a specialist for early development can reduce product risk and accelerate development timelines. Since 1997, Xcelience has been renowned for reliably expediting drug development and reducing compound risk. Its scientists have considerable experience overcoming challenging physical and chemical properties while achieving improved solubility and compound bioavailability.